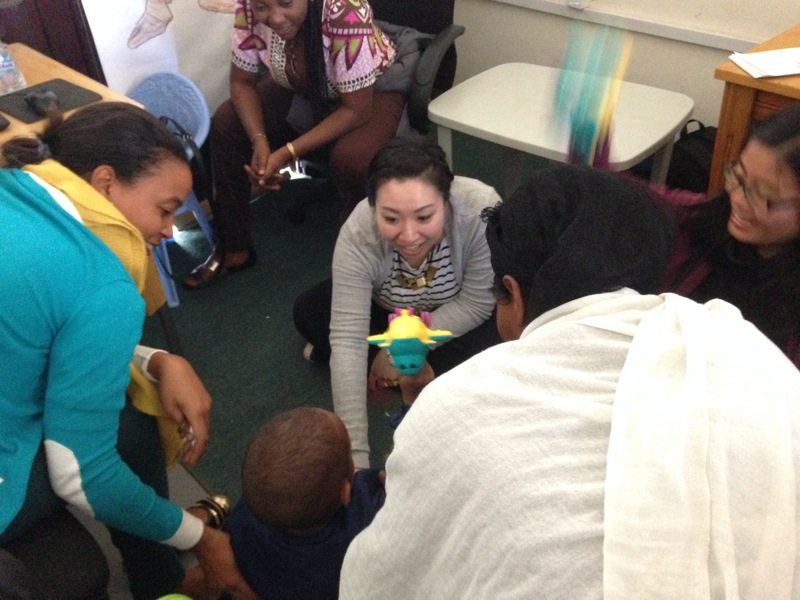 With sadness and a lot of laughter, we wrapped up our cleft palate workshop at Yekatit 12 Hospital today! The morning started off in typical fashion, with a dynamic lecture by Dr. Crowley on detection and treatment of submucous cleft palates. 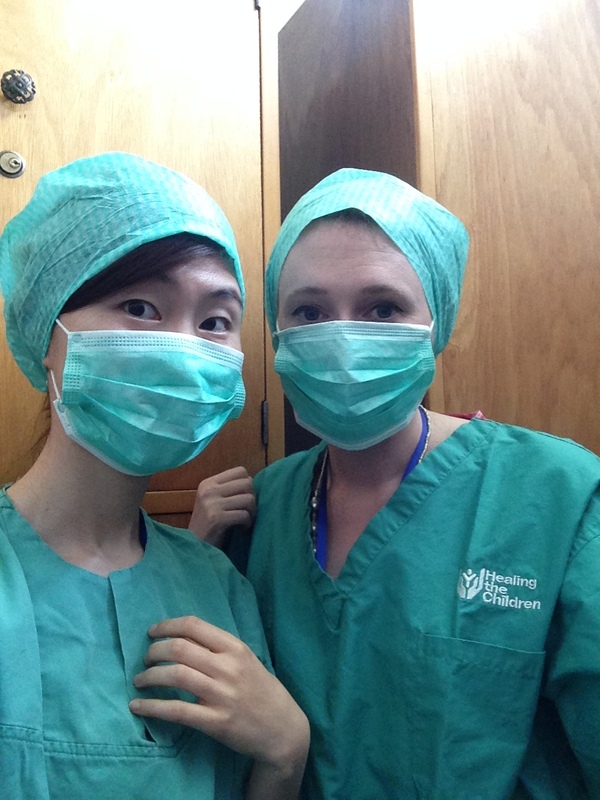 After that, it was time for the final exam, after which Grace, Noel (Soliana), Annie, and Rebecca went to observe cleft palate surgery #2. It was an amazing, surreal experience. Grace discovered she has a future as a surgeon, while Noel, Annie, and Rebecca realized that their stomachs were weaker than they’d expected. After lunch, we began an afternoon of bittersweet goodbyes. We saw our clients for the fifth and final time, and marveled over the gains so many had made since the first time we met (one little girl made everyone teary-eyed by saying her first “K” sound ever!). 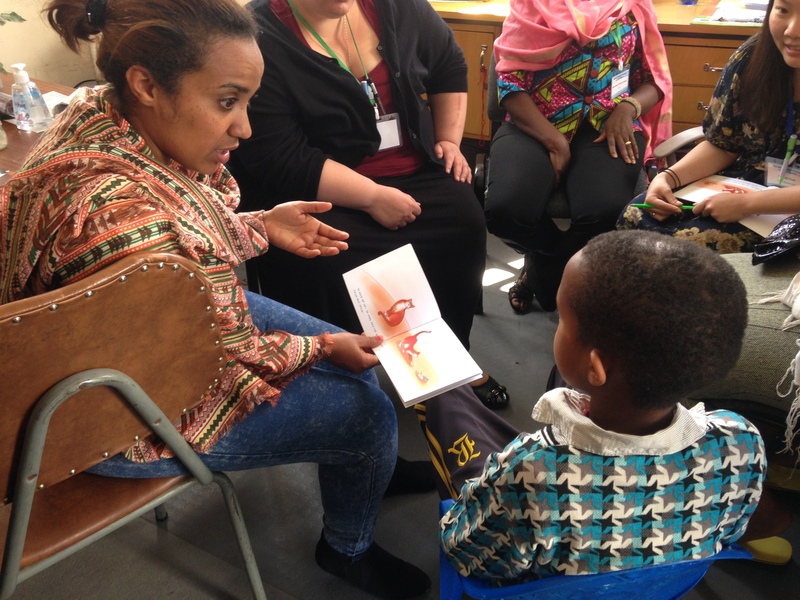 We also were able to use our newly-printed Amharic cleft palate articulation books, which parents happily took home to continue using with their children. 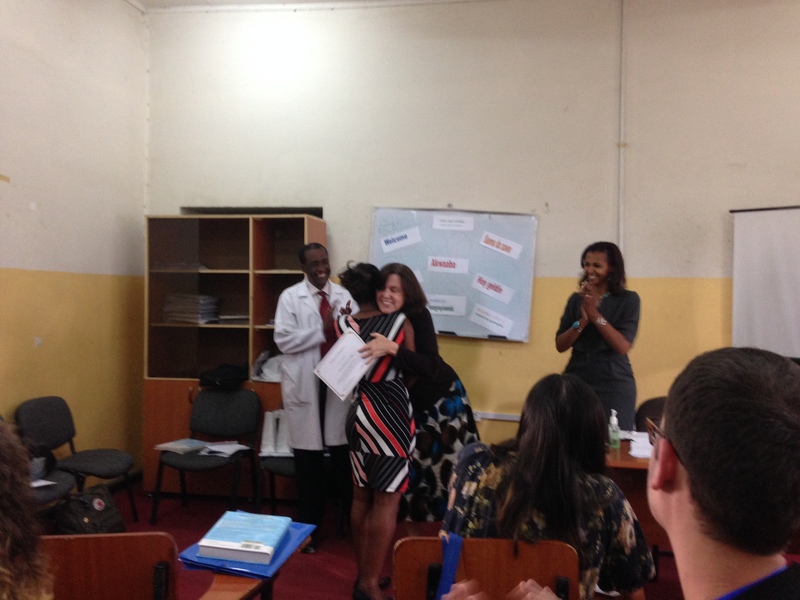 After a whirlwind conclusion to the clinical part of our time together, everyone convened for the presentation of certificates stating they had completed a workshop on speech therapy for individuals with cleft palate. Mesay and Berhane (the heads of Yekatit’s speech therapy team) then presented us with beautiful scarfs for our wonderful supervisors, and a plaque printed with our group picture to take back to New York! 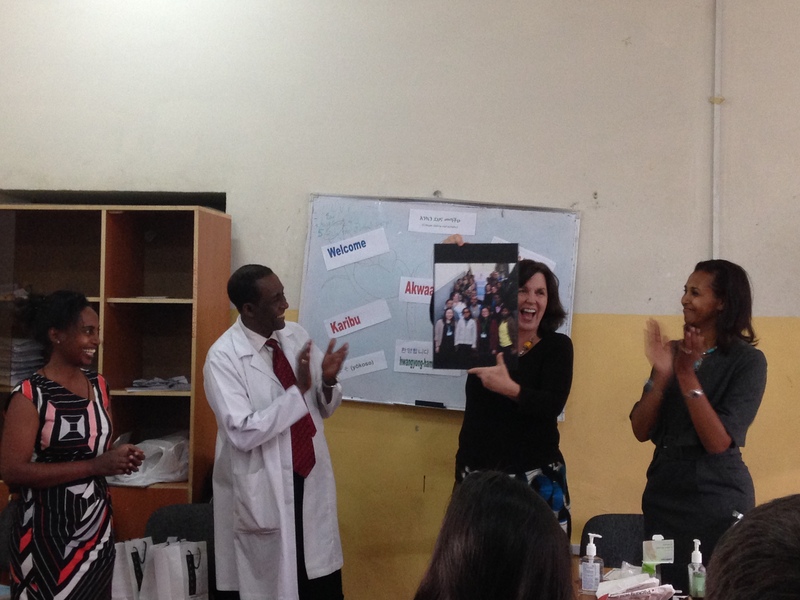 We were all touched by their generosity, and the entire TC team is so very grateful that we were granted the opportunity to work with Mesay, Berhane, and the rest of our fabulous colleagues (and new friends) that we met during the training. We know we’ll meet again someday! 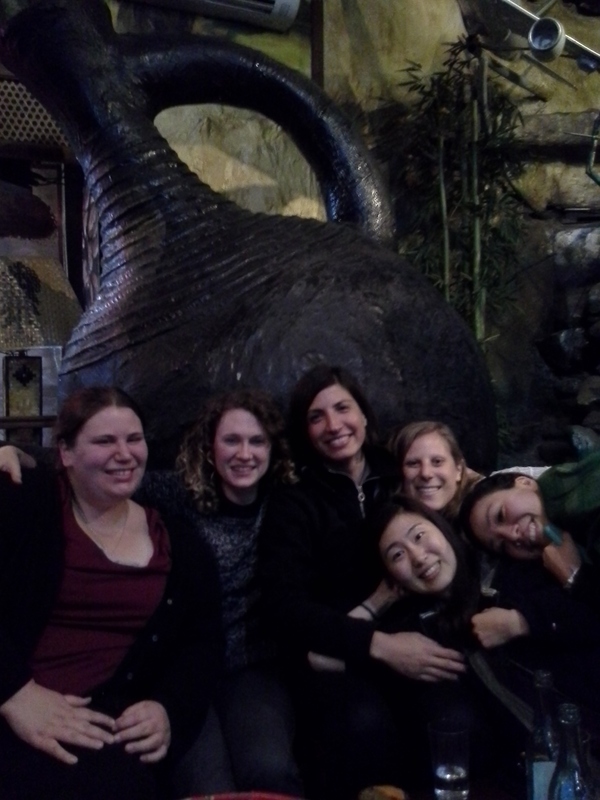 The group then headed back to Yod Abyssinia for a traditional Ethiopian meal. 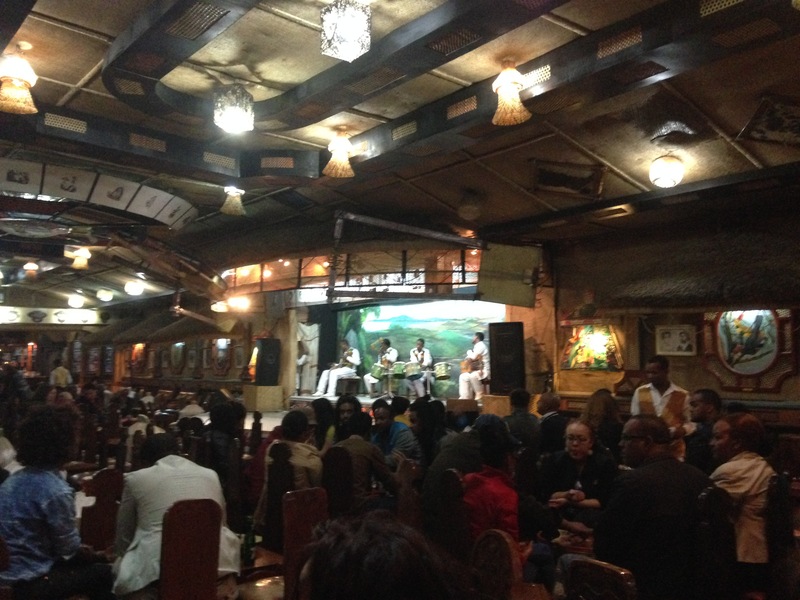 We had been there once before and decided it was our favorite restaurant in Addis, but this visit was even better because it was full of lively people, and there were amazing traditional Ethiopian music and dancing to watch while we ate! 2 more days to go until we head back to the US (while some of us will be traveling to some other places). Can’t believe we have come this far! Congratulations on a successful training! I have been hearing excellent feedback from our SLT partners in Ghana and Ethiopia. Hopefully we will be supporting more opportunities like this one in the future. We know we don’t have as such fancy and comfy facilities but we do have warm hearted and hospitable team. And we know we are also energetic and hard working clinicians who are enthusiastic to learn modified methods and techniques which Dr Crowley taught us. We would like to say thank you very much EVERYONE for being part of this great learning experience, and for bringing the energy and vibe and back up fuel to take us a long way. It was fantastic team work and collaboration. Congratulations on the completion of your cleft palate workshop! What an amazing moment hearing that first /k/ must have been! Keep up the great work, everyone and enjoy the remaining 2 days!